Hey there! Are you ready to plan an exciting trip to Cuyahoga Valley National Park?! Transport yourself from the bustle of the city to a peaceful refuge within the trees! You are sure to find something here that everyone in your group will LOVE. Cuyahoga Valley is a unique destination — and likely somewhere you will talk about for years to come. It’s not every day you get to ride a train through a national park! And with fantastic waterfalls and wildlife, this beautiful and historical place will leave you speechless. 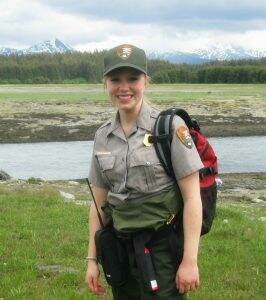 I’m a former park ranger, and I’ll help you plan your vacation down to the details. 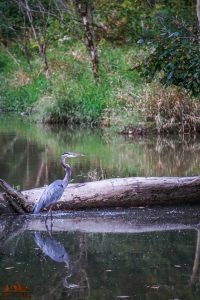 I’ve extensively explored Cuyahoga Valley National Park and am here to help! 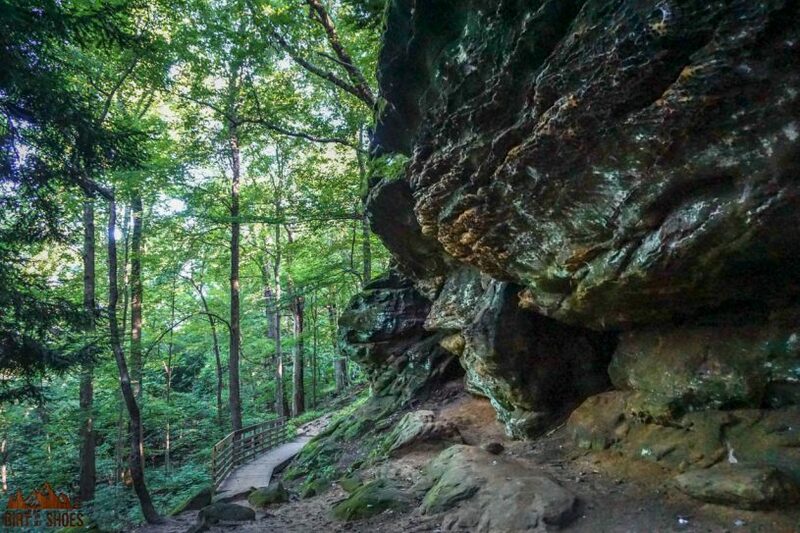 Whether this is your first time to Cuyahoga Valley, or if you are returning after many years and would like to be reintroduced to the park, this list of 8 things is for you. Cuyahoga Valley is more of an urban park, so expect it to be a little different than other parks you may have visited! Driving through neighborhoods or cities to get to your next hike is totally normal. Click here to take a look at the park map. This park is open year round. Most activities are accessible 24 hours a day, but some areas in the park close at dusk and the facilities have more limited hours. There are two lodging options within the park, but many other options exist in the nearby communities. To make lodging reservations or to learn more about your options, click here. Camping in the national park is extremely limited! There are five primitive camping spots available by reservation here. No overnight parking in trailers/RVs/vans etc. is permitted in the park. 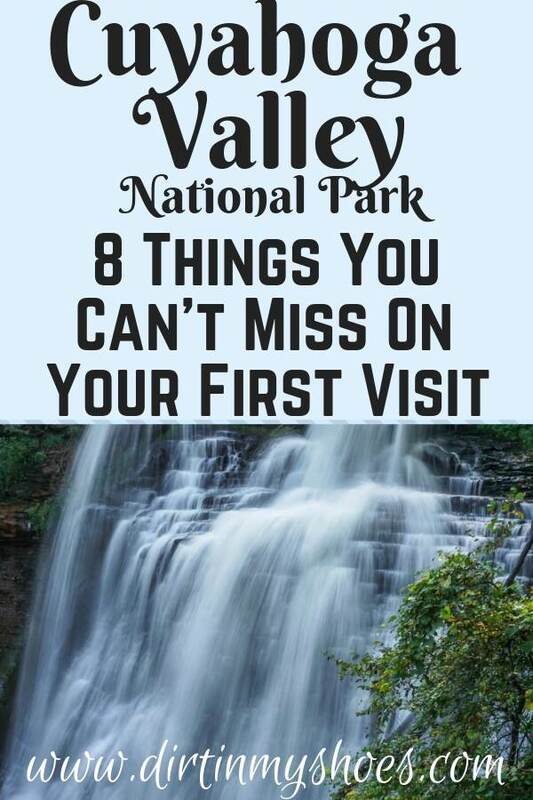 Click NEXT to see this awesome list of 8 things you can’t miss on your first visit to Cuyahoga Valley National Park!